Check out this feature on the exciting work of the UAGC team! "We all took turns - taking care of pigs - actually we just fed the pigs, we didn't need to take care of them"
"I'll remember milking the cow - and when that goat tried to jump on me"
"It's peaceful, much quieter than New York - especially the mornings, going out for a nice walk, sitting on the swing by the river." "All New York students should have this opportunity." Students at UA Green Careers are out on the road, visiting our friends at the Manhattan Country School Farm. We can't wait to hear about their adventures when they get back - here's just a sampling of what they're up to! In February, UAGC's Poetry Club hosted an annual Music and Poetry Synchronized (MAPS) concert with the student musicians and performers of the Pioneer Valley Performing Arts Charter Public School from Pioneer Valley, MA. Under the direction of UAGC English teacher Felix Rivera, with Pioneer Valley teachers, UAGC and PVPA students engage in a yearlong dialogue of the arts, during which UAGC's poets send original pieces to their peers at PVPA, who arrange the poems into musical performance pieces. The concert, conducted twice each year, once at UAGC and once at PVPA, is the culminating call-and-response, show-casing the students' talents and efforts, and highlighting the power of art to bring students together across cultural and geographic differences. Students' work explore topics central to teenage life on the brink of adulthood -- determining self identity; experiences with love, betrayal, fear, pain and hope; challenges and joys of family; the scars of abuse; and the meaning of friendship. Additionally, several poets venture into point-of-view and fiery protest. PVPA students, 7th and 8th graders, respond with well-executed performances, including blues-driven rock, singer-songwriter folk, and soulful renditions. MIT Researcher Deb Roy reminds us that learning is intrinsically social; we learn from each other through feedback loops of increasing complexity. At UAGC, students participate in cooperative unison reading, learning to harness these loops together. Likewise, teachers have regular one-one conferences with students in which these learning loops are used to "gently bring" students into more complex language, thought, and ideas. Do you remember the time you went to go visit a college? The day you stepped off the bus and walked on college campus. Strolling through the college hallways and streets is a completely different feeling than looking at the school online. At our school, the Urban Assembly School for Green Careers (UAGC), a public high school in New York City, juniors have been devoting their time into researching colleges and have gained a passion for them but cannot determine if these schools would be the right fit for them. At UAGC, our college counselor’s office is the only resource we have to explore and get an input on schools. 93% of our students live below the federal poverty level and many have parents who work multiple jobs in order to put money in places that are more of a necessity like rent and food. As well, over 90% of the students at Green Careers are first-generation college going students. Given that many students are first-generation, parents tend to lack knowledge about navigating and planning the application process. Johancarla, a member of UAGC's junior class is a first-generation American born student to immigrant parents who believe that education is their child's ticket out of poverty, is also hoping to be the first person in her family to go to college. Neither of her parents attended college, and her family has relied heavily upon the expertise of the school's staff to help them navigate the complicated application process. The trip will take place in late April and we will be visiting New York State’s Capital Region. Over the course of two days, we plan to visit 4 different college campuses including public and private. These experiences will be crucial in finalizing our application plans, as visiting a college campus is often the best way to determine whether or not it is a good fit. These students simply can’t afford a trip like this and it cannot happen without your help. We thank you in advance for your support in making our college decision. Donate now or help spread the word! The PBS series NOVA recently documented trends in education. They asked "What will the school of the future be like?" It was a great episode, full of cool ideas from science about what learning looks like. They demonstrated how advancements in neuroscience should impact how school operates. Unfortunately, many of the schools featured are nowhere near as progressive as Learning Cultures at UAGC. In one of the first featured school on the program, educators applauded collaboration. "Collaboration is key," they said, even as they told students that they should "turn and talk" to their neighbor for an amount of time determined by the teacher. Is that the best we can do? At UAGC, collaboration is the means by which we learn, reflecting insight gained from neuroscience. Through Unison Reading, the majority of a student's day at school consists of collaborative interactions with their peers, coached by a teacher trained in fostering dialogue and positive interaction. Unlike teacher-directed moments of student interaction, we teach students how to follow a set of rules to play the game of debate, dialogue, and discovery. The conversations that emerge, as well as the learning that occurs, attests to the power of collaboration in the school environment. 2. The Cognitive Revolution Is Real! Carol Dweck, Angela Duckworth, and Sal Khan discuss the impact that research has had on how we should "do school." From outdated methods of scientific behaviorism to the new ways of teaching that reflect how the brain actually operates, these researchers articulate the shift that MUST be made in how we approach teaching and learning. Dweck discussed that student's brains must shift from a "fixed" to a "growth" mindset. Our principal, Maddie Ciliotta-Young discusses the difference every year at our social norms talk, where students agree on what it means to be a part of our community. "I'm bad at math," Maddie says, "is an example of a FIXED mindset." It's a belief that you are who you are, and you can't change. Instead, UAGC students are encouraged to cultivate a GROWTH mindset, "I can get BETTER at math." That sort of determination feeds into what Angela Duckworth calls "grit" and develops an essential attribute for success. Dweck has studied how mindset impacts the success of students, for good or bad. At UAGC, we work to instill a growth mindset in all our students, through mastery-based learning that builds on strengths and targets weaknesses as areas for growth. Students use resources like Sal Khan's Khan Academy to build that mindset for themselves. NOVA highlighted a great San Francisco program called AltSchool as a paradigm by which teachers help each student meet their own learning needs. It's a great idea, but in their school it seems that most of the metacognitive work (thinking about thinking) is not done by students, but by computers. While that may seem efficient, it removes the effort of thought from students and hands it to a computer program. At UAGC, teachers facilitate the metacognitive processes of students. Students learn to ask themselves, "If I need to know this, what should I be learning?" 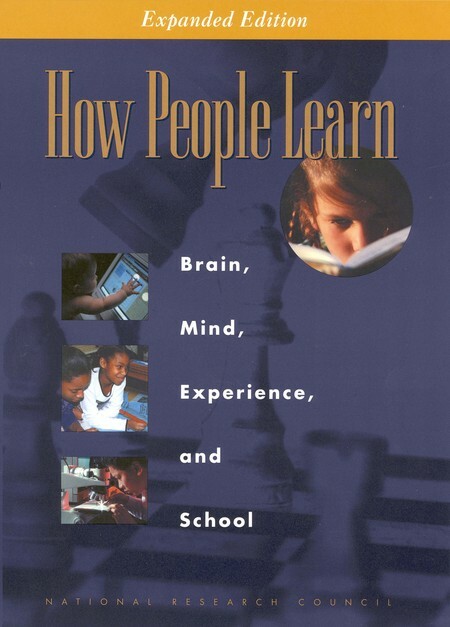 instead of relying on a teacher, a textbook company, or a computer program to tell them what or how to learn. When a student in AltSchool has a moment of discovery, "Oh, that's why," the applause is given to the teacher, and to the computer program, that coached him to figure it out. At our school, the applause is for the student who does the real work of learning, as hard, as challenging, and as rewarding as that may be. One lesson on personalized education is drawn from the US Air Force in the 1950s. After many crashes from the new jets they were piloting, developers learned there was "no such thing as an average-sized pilot." The Air Force had been designing planes to fit the needs of one type of person, and anyone outside of that mold (i.e. most people!) were crashing and - quite literally - burning! So instead of planning for their planes to fit the few "average" people, they started customizing their planes with adjustable seats, steering wheels, gears, etc. Education was similarly designed around a factory model - get it to fit the "average" person. At UAGC, we know that none of our students are "average." Each student has their own unique gifts and talents. Each need their own customizable tools, and who better to customize than the students themselves (with the support of their teachers)! Our curriculum is designed to ensure that every student flies in a plane fit for them. They pursue their own interests in pursuit of rigorous learning standards. Every student receives individualized one-to-one coaching as part of the Learning Cultures framework. Real personalization only occurs when you learn how to personalize for yourself. When was the last time you had a teacher adjust your seat for you in a car or in a plane? Our students are coached to personalize their learning for their own unique needs to achieve their goals. We were taken aback by mostly white, male teachers saying to students "We're going to create a relevant curriculum" for you - whether you're a black daughter, an hispanic son, an Iraqi brother, a Bengali sister, or even a white male student. "Culturally-responsive instruction" is a buzz word that emerges in education circles today and too often justifies one oppressive culture telling an oppressed culture "this is how _______ applies to you," to quote the NOVA documentary. Instead, how about asking students themselves, "How DOES this apply to you?" In our writing program, students find their own intentions, and transform them into a genre that is meaningful. One student featured in the documentary rapped about "the struggle, coming from the ghetto," but was doing so only in a school-sponsored studio. Instead, UAGC encourages students like Isaac Tejeda (pictured) to pursue the messages that mean the most to them. Like other artists, these creations question the status quo and may even span genres (see JayZ's video op-ed in the NYTimes). They don't always fit neatly in the mold of "school project." However, they're genuine. They're "legit." They fill the needs expressed by another student in the NOVA documentary to "have my voice." At UAGC, our curriculum is built around student voice and the many possible ways that each student can access the high expectations of the NYS curricular measures. NOVA talked a lot about Project-Based Learning, but in each segment, we kept asking, "Who is designing the projects here?" Shouldn't it be the students following their own intentions? Finally, learning should be a JOY, not a torture. UAGC reflects the views of at least one NOVA educator, who said, "If you think - I'm curious about that, I want to learn more about that, then it sticks a lot better with you." When a curriculum really begins around a student's intention, then students will engage and learn "a lot better." So many of the transformative aspects highlighted in the "school of the future" are alive and well at UAGC. We start school as late as we're able (8:45am) to give students more time to sleep. We NEVER separate ELLs into separate classes where they're forced to sit in a corner, like Murtada Mahmood was forced to do as a recent immigrant to the United States. Instead, we believe that integration - not segregation - is the best way for students to learn. That extends from our inclusive ELL and SPED programs to our mixed grade classes for maximum exposure to diverse perspectives. We're excited to be a part of a movement that works toward inclusive education - realizing the belief that all students have something to learn from those who are different from themselves. We echo the belief of Professor Immordino-Yang that students "need the freedom and the support - and the resources - to be able to deep dive into topics that interest them so that they learn what it feels like to really explore and understand something." At UAGC, we aim to provide that freedom, that support, and those resources, for deep diving to occur. Because, "if we don't prepare people with self-knowledge and agency, we'll never be able to meet the needs of our modern economy,"
Our students today will be interpreting knowledge their teachers never dreamed of, and utilizing technology that has not been discovered yet. That's why we answer the call to "focus on the process, not just the product" and allow students to take control of their own metacognition. So - what does the school of the future look like? We think it looks a lot like what's happening at UAGC. Whether you're a student, parent, teacher, community member, or just someone looking for some hope for our future, we'd love for you to be a part of the amazing work our students do every day. As one NOVA specialist commented, "Kids . . . have the tools to be contributing members of the broader community." We know our kids do, and we hope you will see the beauty of their contributions now and in years to come.